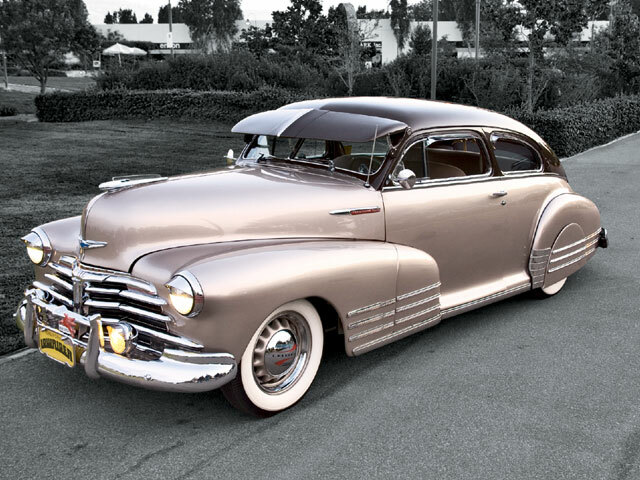 Day Or Night, A Tasty Car Like Edward's '48 Fleetline Ishard To Miss. 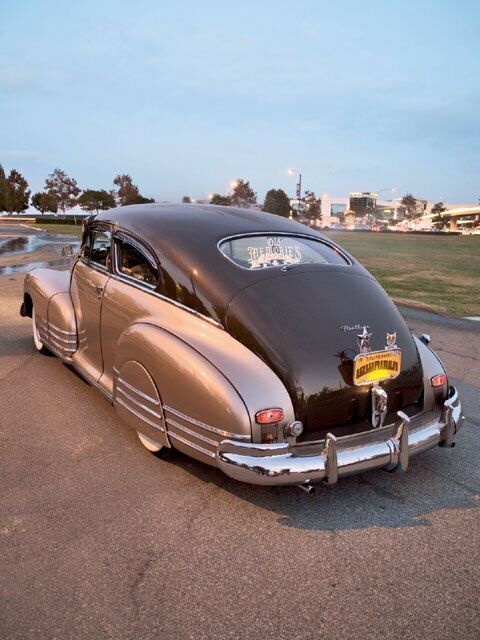 A member of the old Memories Car Clubsan Gabriel Valley chapter, Edward recalls how he found the ’48: “I first saw the car at my friend’s house and it sat there for two years before I had the nerve to ask him to sell it to me,” he recalls. once he got the car for a deal, only three grand, he took it home and stripped it down to the frame, the best way to do a restoration job because this way you know exactly what is wrong or right with the vehicle. 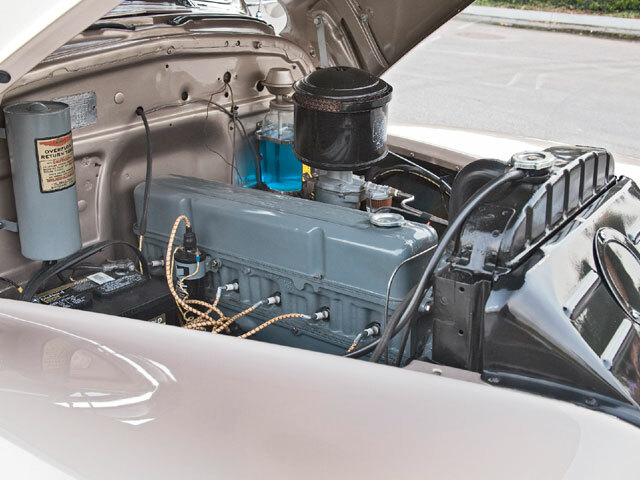 Engine/Drivet RaIn: The stock engine was swapped out by Mike’s Mechanic shop in East Los angeles, California, where Mike yanked out the old engine and dropped in a fresher one from a ‘57 Chevy. The 235-c.i.d. engine runs well and purrs like a kitten when idling, but gives out a nice sound when rolling down the streets with its straightpipe exhaust system. Body/Paint: “Pollo” at G’s auto body in Lynwood, California, made darn sure that the car was tiptop in the body before hitting it with a PPG two-tone color scheme paint job. For a little pizzazz, Danny the pinstriper in the san Gabriel Valley came up with a few tasty licks to embellish the car. 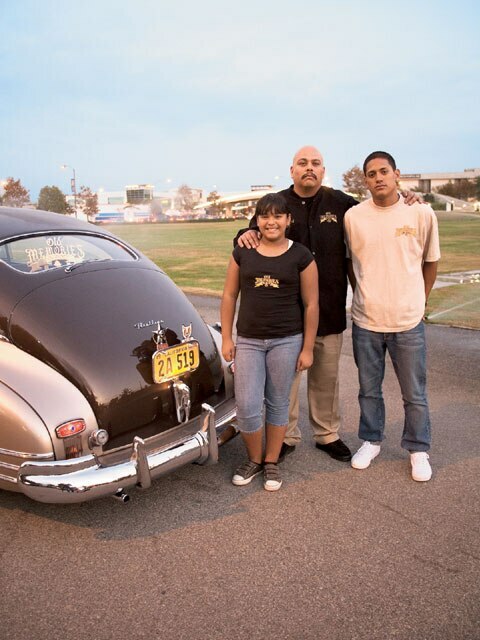 “Lil’ Ed” at Isabel’s Chrome Plating in Downey, California, gets props for doing a great job on the Fleetline’s plated goods. 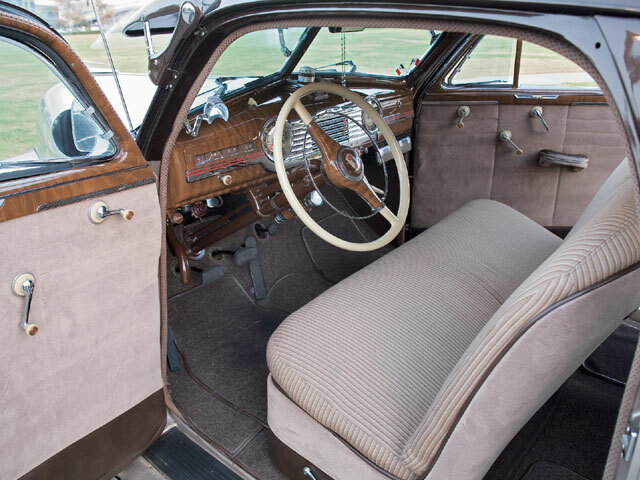 Interior: Edward made sure that the bomb’s interior was just as tight on the inside, so he scoured the swap meets and Internet to find the right stuff and then had Mike Perez of whittier, California, stitch in an oG-style hampton Coach kit to the factory seating. Mike also handled the door panels and headliner to tie everything together. Sound System: Edward made another stop in Downey, this time for some tunes which were installed by Ruben Martinez at Evan’s stereo shop. The all-Kenwood sound system keeps Edward and his family on the beat when rolling to the shows and events. 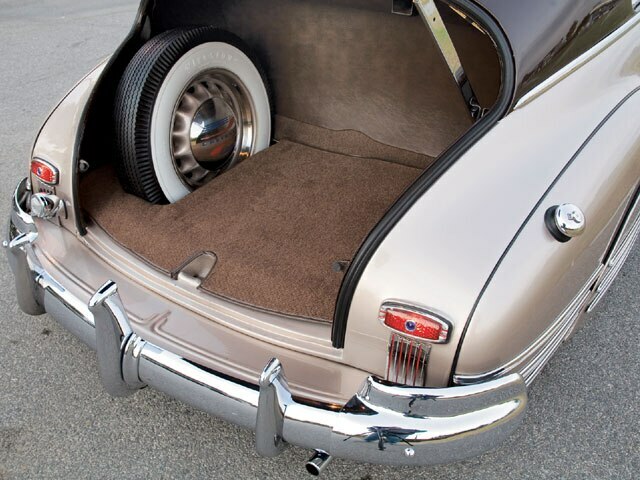 Suspension: Edward lowered the bomb a bit for a cooler stance and lowrider attitude.